Appreciate all the different viewpoints of the Conch Republic, from dolphin watches by boat to Duval Street via beach cruiser. Here are our favorite tours across the island. >Conch Train - It may sound hokey, but the Conch Train is one of the best ways to get a feel of Key West. The tour loops around Old Town, passing the Hemingway Home, the Butterfly Conservatory, and the Key West Lighthouse, to name a few. Stop at Kermit’s Key West Key Lime Pie Shoppe for the essentials and learn all about Key West along the way. Rides depart from the Front Street Depot and end in Mallory Square. More details here. >Ghost tour - Even if you aren’t into the paranormal, ghost tours offer quirky stories about Key West, which has earned the title of America’s most haunted island. Take a 90-minute walking tour at night with master storytellers through haunted mansions, pubs, and more. >Bike tour - Key West is made for leisurely bike rides, and the Key Lime Bike Tour is a fun way to get around the relatively small island. See all the historic points of interest and get a feel of the area – so you know exactly where you want to go for the rest of your trip. >Helicopter ride - Get airborne with a bird’s eye view of the Conch Republic! Helicopter rides offer economic options as well as longer trips with steeper prices. Take the island tour, view ecosystems from above or opt for the 7-mile-bridge tour. See all your options at Air Adventures. >Dolphin watch - Spot dolphins and sea turtles with eco tours aboard an electric-powered boat from HonestEco. There’s never a dull moment and the company has been an island mainstay since 1986. >Kayak the mangroves - If you’re the kind of traveler that seeks nature, a kayak through the mangroves is the ticket. You’ll see abundant plant life, birds and fish on your peaceful paddle. We suggest Lazy Dog Adventures, which offers flexible tours that you can customize to your needs. 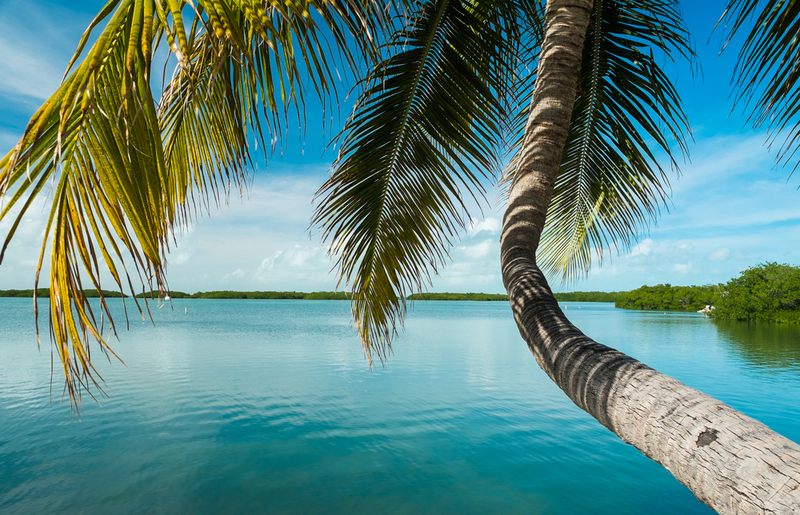 Go on a guided tour in kayak or paddleboard to get a feel of the natural state of Key West. >Fishing guide - See what’s swimming in the waters of Key West with a fishing guide! Key West Pro Guides can take you to all the offshore hot spots to catch mahi mahi, barracuda, and more.